What about a great salad? My mind had been so preoccupied with sweet strawberry things that I forgot how many places strawberries, and other fruits, can go. Salads are a perfect place to mix sweet and savory flavors. They are the great catch-all for vegetables. I prefer a good balance of sweet and savory, so I will usually just add one fruit to my usually veggie-packed salads. Lately I’ve also been skipping the traditional salad dressings in favor of a mashed avocado. Mashed avocado is a simple way to add some extra flavor and fat to your salad. Your body can better absorb nutrients from vegetables with a little bit of healthy fat. Your body needs fat for energy, keeping your skin healthy and your brain functioning. Olive oil-based dressings and vinaigrettes are also a good option for adding into your salad, but I prefer the avocado’s versatility. I make dressing as I need it, and I never make the right amount of dressing. It either goes to waste or I have an overdressed salad. With an avocado, if I only need half of the avocado for my salad, I know I can use it in other ways and it won’t go to waste. 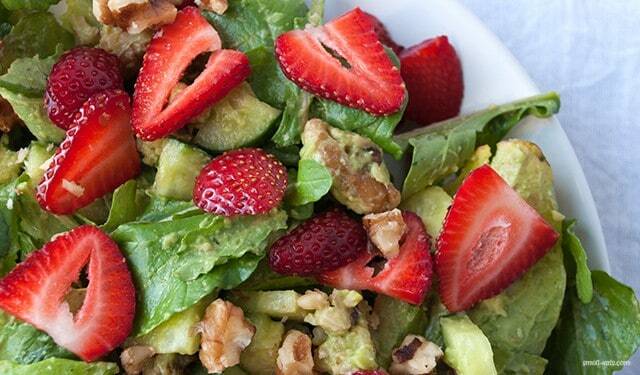 The light creaminess of an avocado also pairs works really well in this salad. 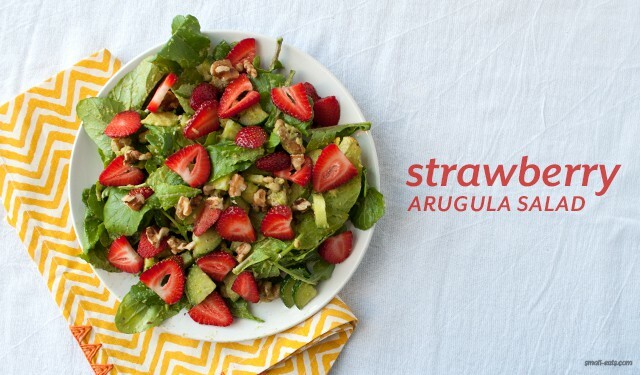 It balances out the sweetness of the strawberry and tones down the pepperiness of the arugula. Arugula is also a new salad green addition for me. I’ve been trying to add some more greens variety to be more well-rounded and to just try more things. 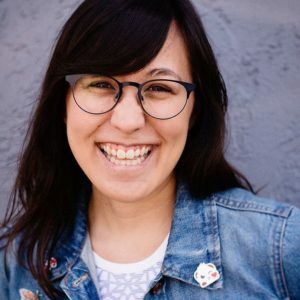 Even food bloggers still need to keep things interesting! This salad is very open and flexible to additions and substitutions. If you want to swap out walnuts for almonds, pine nuts, or sunflower seeds, try it! If you have a Persian cucumber in your fridge or some carrots, try those too. Salads are meant to be a delicious vegetable, and now fruit, catch-all. This recipe is part of a series called Nutrition DL. Nutrition DL gives you the download on seasonal fruits, vegetables, or pantry staples. Once you learn about the basics of the featured ingredient, I share a four recipes over four weeks to inspire and feed you with this great seasonal food. 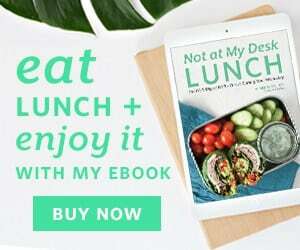 Check out other foods I’ve covered here. In a large mixing bowl, combine arugula, cucumber, and walnuts. In a smaller bowl, mash avocado with a fork until smooth. Add avocado into the large mixing bowl and mix until well incorporated. Add in strawberries and lightly mix, then serve.